3.You need something to wash down that Benadryl so you can sleep sitting up with your knees tucked under your chin. Here comes the drink cart and like the diligent wine connoisseur you are, you ask what type of red wine is available. The flight attendant replies, “Merlot I think,” and holds up a bright pink bag o’ wine. Noooooo! 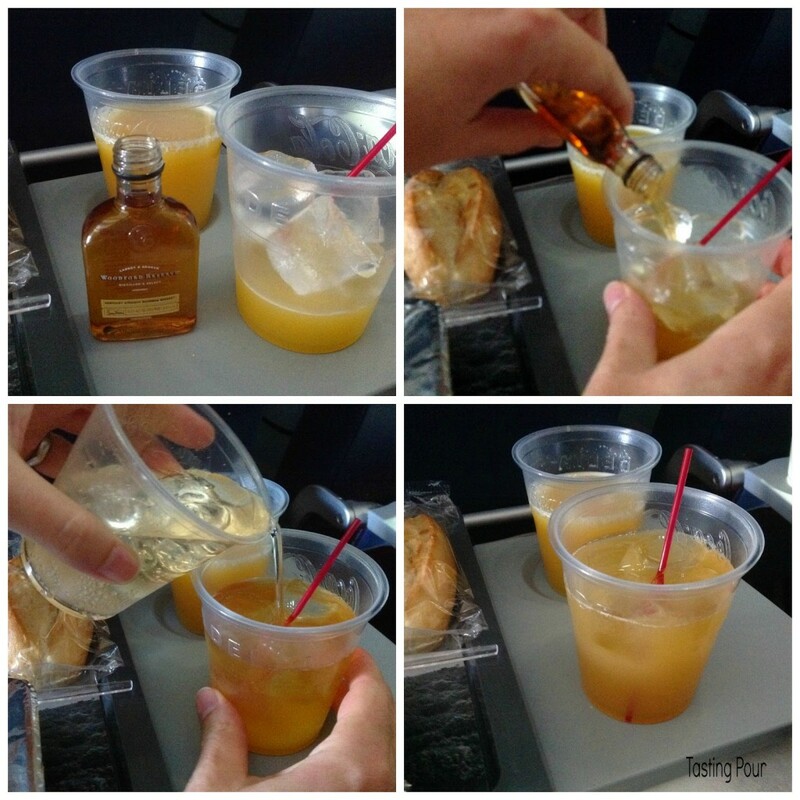 For the bourbon lover who hates to fly. Fill cup of ice ¼ full with orange juice, empty entire bottle of bourbon, fill rest of cup with ginger ale. Stir and enjoy. Measurements approximate, who has a jigger in their carryon? Have an impromptu cocktail recipe? Share it with us. A pink bag of Merlot – Yikes! Your impromptu cocktail? Yes please!